Diwali in India is undoubtedly the biggest festival, a festival which everyone celebrates. The festival of lights mean a lot of different things to a lot of different people. For some it is Pooja/worshipping, for some its homecoming, for some it is the time to give and receive gifts and for some it’s the time to indulge in a little gambling! Yes! Gambling. There are people who I have seen sincerely playing card games, like Teen Patti and what not, only once a year, on Diwali! And who doesn’t want to win! But with card games you need a lot of luck to win. And everyone dresses up from head to toe on Diwali, so why not wear something that links you to a little luck and quirk up your outfit at the same time! 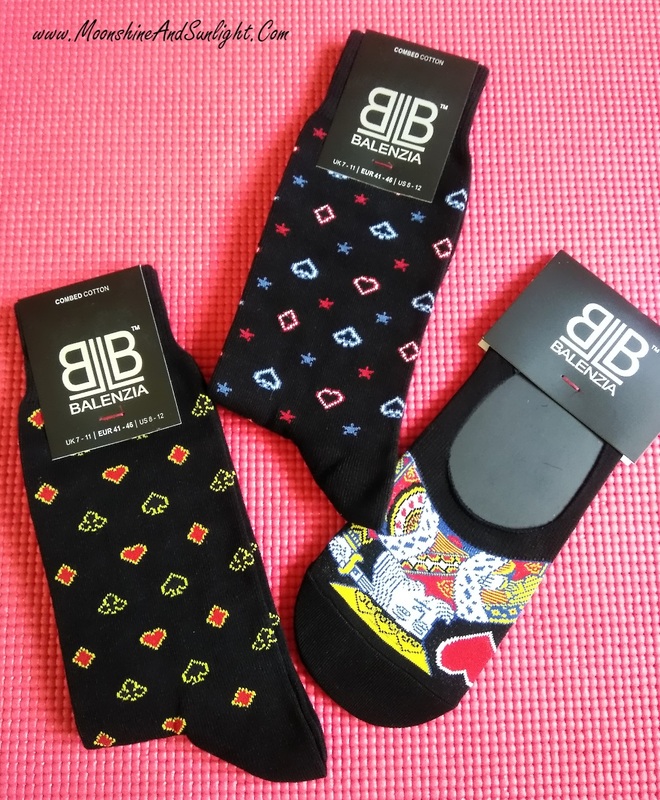 Introducing, Balenzia, a premium socks brand and their new collection of Poker socks! 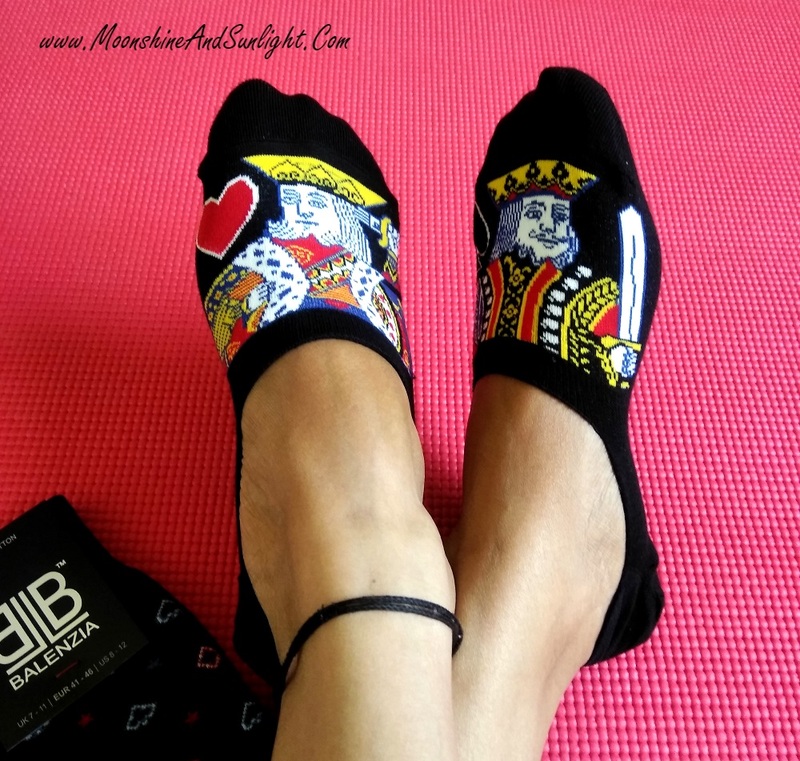 Have a look at the fun designs on the socks and tell me that you don’t want them! I loved the No-Show socks and even though it is made for men, I decided to keep it for myself! So, poker up this Diwali and get a little luck on your side by dressing to win with this quirky socks! 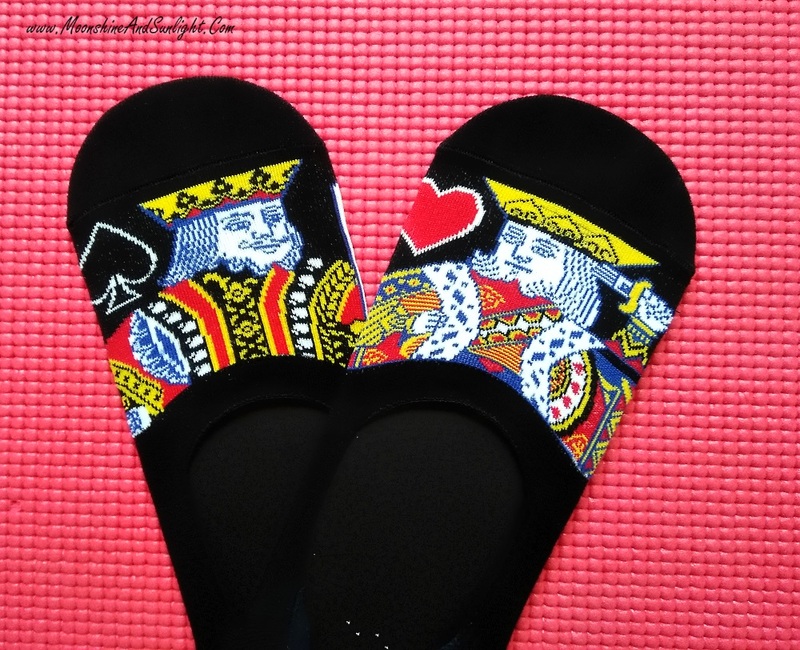 I love the kings on the No-Show socks and the hearts, spades, diamonds and clubs on the others! Plus these are super soft and comfy and fit snuggly! These would make great gifts for the men in your lives or yourself! Also, one of YOU can win these by simply entering the giveaway! Rules to participate are below! Share this Blogpost on Facebook and tag two of your friends, “Moonshine and Sunlight” and “Balenzia”. Use #MNSGiveaway . Comment below with the link and your plans this Diwali and which pair of socks is your favorite!! Brownie points, if you follow @Balenziasocks and @Priyanjana on Instagram! Don’t forget to comment your handle below, in that case! Please make sure you have a valid Indian address or are a resident of India. 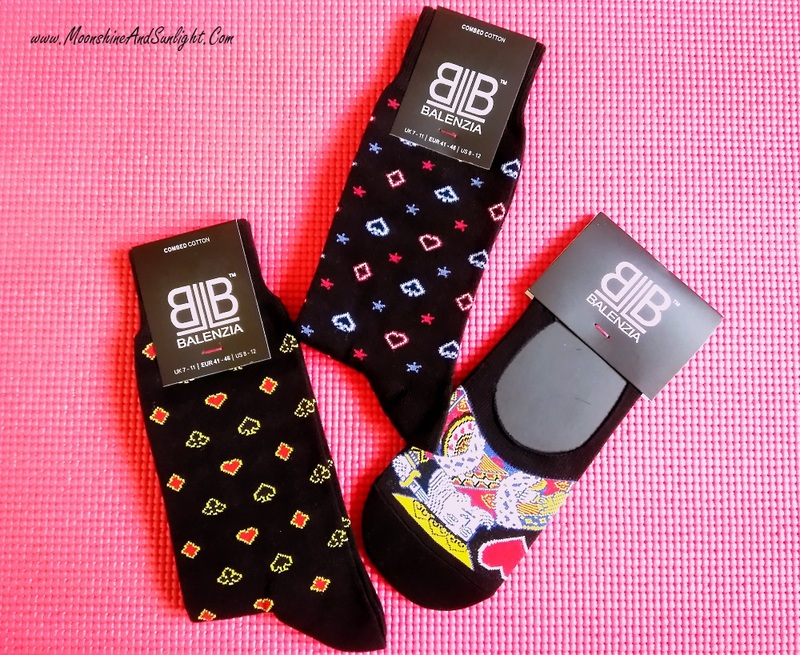 So win these for Diwali and have fun with them! Looking forward to your entries and to read about your plans! Have a blast this Diwali! Best of Luck for the giveaway! Thanks for such great giveaway. Liked it. Quirky socks are my favs. One can never have enough socks as they keep disappearing into thin air at my house(or the cats are eating them). These are so cute have to get them! Such a fantastic giveaway! Love those socks they are so quirky.